Fluid live wagering is the ultimate live betting experience! In the past live wagering was limited to the the spread, total, and moneyline. Not anymore! Now your players can bet on every swing, shot, and serve during the game. Perhead’s easy to use interface makes live wagering more exciting than ever. The bettor can make single straight bets or parlays, and he or she can choose the wager type after the selections have been made. Each game features a real time scoreboard that provides play-by-play results and statistics. There is also a full game schedule within the interface so you can see upcoming events. Perhead offers fluid live wagering on all major sports including football, basketball, baseball, hockey, tennis, and soccer. Grading is immediate so your players can keep betting during the entire game! Contact us for a demo of our Fluid Live Wagering platform. Our betting lines are written for some of the sharpest bookmakers worldwide. Our sportsbook offers betting lines on over 30 major sports giving the player a top shelf experience with an abundance of options and the flexibility to adapt to any needs the operator may have. Our innovative betting software will give you the option of choosing which bet types you would like to offer your players as well as which sports you would like available for them. Perhead’s business model caters to bookmakers worldwide. With our fully-managed white label solution, we run your day-to-day operations giving you the ability to focus on other areas of your business. 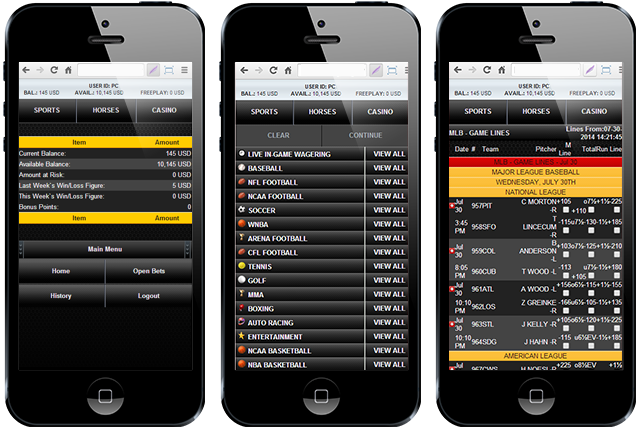 Customizable Bet Slip: The Bet Slip allows you to make multiple bets on a wide range of sports easily and efficiently. The Bet Slip is located on the right hand side of the screen in the Sports and In-Game sections. As you begin to place your bets, the bet slip will expand showing your current selections, and giving you the option to place bets immediately. Quick Bet: Quick Bet was created to make the betting process simple, fast, and efficient. The bet slip automatically recognizes when a single selection has been added and instinctively selects a single straight bet for you. All you have to do is enter your wager amount and password to complete the bet. If you wish to make another bet type simply hit the drop down menu displaying your bet type. Keep Selections: The Keep Selections tool was created for the seasoned bettor. First select all the odds that you are interested in. Click the Keep Selections checkbox at the top right. You may then add that bet to the cart using the ADD TO CART button. After that bet has been added to the cart, you can edit your selections and add another bet to the cart. Add as many bets as you want using the combination of selections you’ve created. Then, enter your password and place your bets. Here’s an example of how using the Keep Selections box saves time. Our classic interface is simple and easy to use. 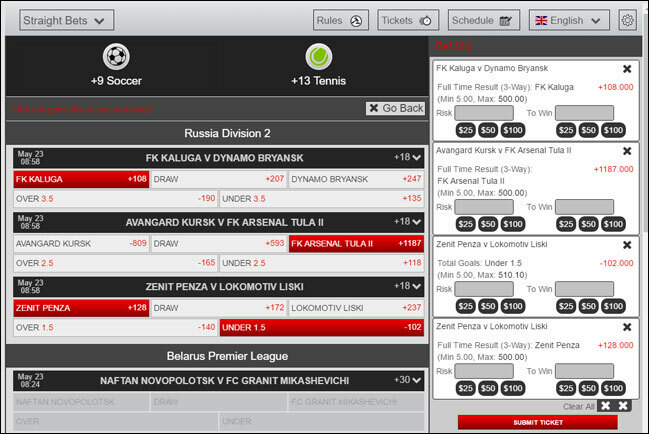 If you like to select your bet type first, then this is the interface for you. This style is the most common among American bettors. Live betting has become one of the most popular betting options to date. This dynamic betting feature allows players to wager on an event as it happens instead of scrambling to get a bet in before it goes off. In-Play wagering, also referred to as “in-running” or “live” betting, has become a major product for any operator that seeks to grow their business. Players love the thrilling non-stop action of in-game wagering because it gives them more betting odds to wager on. This form of wagering has gained global popularity within the last couple of years and is yet to reach its peak. Perhead’s in-play wagering product lets your players wager on all major sports from football to soccer. 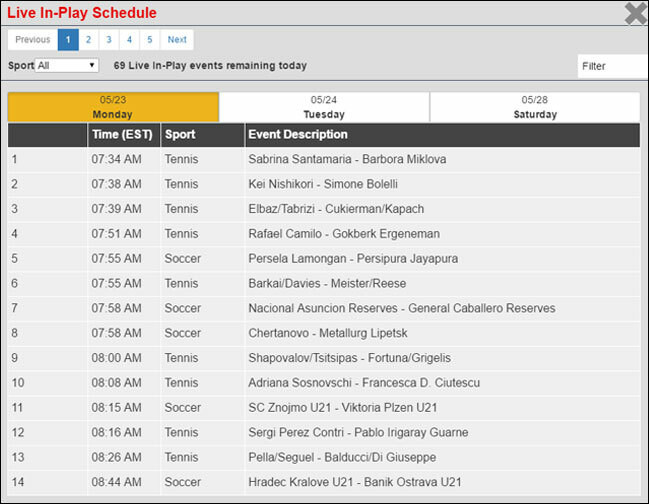 We have live In-Play wagering on hundreds of events every month, depending on the season. These lines are available for all major sports and leagues all over the world. Perhead’s fully customizable white label casino software lets you provide a unique and exciting experience to your players. Our product is Certified Fair Gambling approved giving your players the ability to play for longer periods and giving you the peace of mind they are being treated fairly. We have a complete offering of Las Vegas style games that include Blackjack, Roulette, 3 Card Poker, and many more. Enjoy our casino on your desktop, tablet, or mobile phone. You have the option of choosing which games you wish to offer your players and you can also limit the max win/loss per day for each individual player. With our back office features you can control how much a player can win or lose in a single day for their protection and yours. Blackjack: Online blackjack is the most popular internet casino games among gamblers. It’s a great game of skill which requires a lot of strategic thought. Blackjack is a fundamental product to offer to your customers. Perhead offers multiple variants of blackjack including Single-deck, Single-hand, Spanish, Switch, Double exposure and more. Video Poker: The popularity of online video poker has increased tremendously in the last few years mainly because it’s effortlessly accessible for any person. It’s another game that requires skill and has a straightforward format. Perhead offers a vast array of video poker options including Jacks or Better, Tens or Better, Double Down Stud, Jokers Wild and Deuces Wild. Table Games: Have your customers bring everything to the table. From Baccarat, Craps, to Roulette, Perhead’s casino software has all the games to keep your customers entertained while you maximize your profit. Slots: With games like Victory Lane, Jurassic Fire Slot, and Wild 7's, and a bunch more, your players are sure to find all the slot games they would desire. Bingo & Keno: Perhead’s gaming software lets you provide a sophisticated and exciting experience to your customers. We offer the most authentic, engaging and entertaining live dealer experience available online. Our live casino features TV quality video, crisp audio, rich user interfaces along the most professional and engaging live dealers. A full range of games are available including Live Blackjack, Live American Roulette, Live Baccarat, and Live Blackjack Early Payout™. When you sit down at one of our many live tables you will be welcomed by name and treated like the valued customer that you are. You can chat with our live dealers or with other players in the live casino community as you watch your results unfold before your eyes. It is the closest experience to actually sitting at table in Las Vegas but from the comfort of your own home. Games include Live Blackjack, Live American Roulette, Live Baccarat, and Live Blackjack Early Payout™. Experience the world’s most professional, entertaining, and lively online casino dealers. Play, chat, and interact with our friendly dealers who will address you by name. You can even tip the dealers if you like their dealing style! Play in a community setting and chat with other players at your table. Our live casino is available 24 x 7 x 365 and comprises of a complete casino staff including dealers, pit bosses, and inspectors. Our casino staff are always available to answer questions in real-time. Take comfort in trusting the results as the game unfolds before your eyes. We use only authentic land-based casino hardware and standard sized playing cards, the same brands you find in Las Vegas. Enjoy high quality, low latency live streaming video along with crisp audio. We offer 130+ horse and dog tracks with year round action. Our automated system allows wagering all the way up until the race actually starts. The races are graded instantly upon completion. You as the operator have the ability to choose which tracks to make available for your players, which betting types to make available, set max wager amounts, and choose to pay out full track odds or maximum track odds. Our integrated software allows players to bet the most popular tracks and betting types at no additional cost to you. 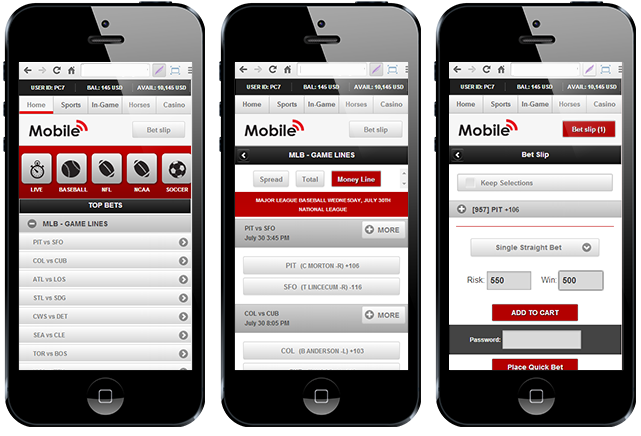 Best of all, your players have the ability to wager from the convenience of a mobile device day or night. You can also restrict the bet types on any given track we offer while restricting the max bet and max payout amounts as well. Check out our track list below. Our sophisticated mobile platform will let your players wager from any smart phone or tablet 24 hours a day, 7 days a week. Our superior mobile presence is guaranteed to boost your earnings. Aside from providing a sophisticated mobile platform for your players to wager on, you are also able to view all your figures on the go in real time. From your smart phone or tablet, you will be able to log into the backend and monitor every aspect of your players account as it happens.